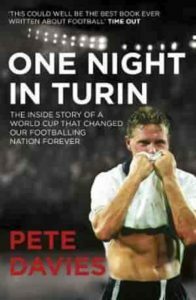 One Night in Turin, previously published as All Played Out, is Pete Davies’ eyewitness account of England’s FIFA World Cup campaign in 1990. It was the closest that England ever came to winning the soccer World Cup again (they had previously won it in 1966). In 2018, England reached the semi finals again for the first time since 1990. Unfortunately for them, they were knocked out in the semi finals by Croatia. So it is very exciting to call up this book again and re-read the drama that had engulfed a whole nation and changed the character of the sports following in England. What is One Night In Turin about? One Night In Turin is really about England’s highly charged and dramatic campaign in the FIFA World Cup 1990. Pete Davies chronicles the whole journey, from the group stages to the knockout rounds, culminating in the semi finals. It is about the fact that England did not make it. A story of what might have been. A story that drove a grown man to cry in front of a global audience. The tensions and emotions that came to play then still haunts some in the nation today. As an aside, I believe the real game of the FIFA World Cup 1990 was the semi final. The final of Italia 90 was the worst I’ve ever seen. And I’ve watched them all. It was a terrible game. In contrast, the book is lauded as one of the best Football World Cup sports book ever published. It has been copied many times but never bettered. Pete Davies gives us a fly on the wall account of a nine-month-long access he had to the team, the players, the manager and even the fans, the agents, the journalists and the hooligans. The 1990 FIFA World Cup was famous for a lot of crowd trouble involving English fans. The style with which Pete Davies captured much of this in One Night in Turin was engrossing. “Pete Davies is incapable of writing a dull sentence. . . one of the most outrageously entertaining books of the year” Daily Post. Besides being a good sociological study of fan support, the book also covers tactical aspects of England’s campaign and all the player intrigues that led to England’s best ever performance at an overseas football World Cup (until Russia 2018). Before 1990, football in England was a dirty word dominated by a culture of hooliganism. But manager Sir Bobby Robson led his team through heroic exploits that aroused patriotic fervour and came to unite England in the support of its national football team. To coincide with the launch of the movie, for which Pete Davies wrote the screenplay, All Played Out was republished One Night in Turin. Read of other sports books reviews we have done here. 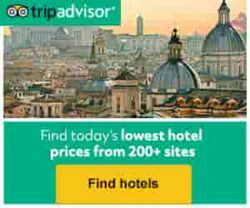 Direct links to One Night in Turin in this article (and any titles anywhere on this website) are not necessarily the cheapest. The links were chosen either because it was the exact edition that I read, or it is a limited edition, or I just grabbed the first convenient edition. I strongly suggest you browse round the Booktopia site to get the edition that would suit your reading budget or aficionado proclivities. And if you’re really after a free copy, just ask your local library. Public libraries have my greatest respect for providing one of life’s greatest pleasures, freely. When it is not in their catalogue, public libraries have never failed me in ordering the edition I request. Oh my, football, I have seen a fair share of it. When I was engaged and lived in Italy in the 1970,s it was football, in black and white, on the weekend. Now I live in Spain and do watch a game or two especially semi finals and finals. The times of Maradona, and now Messi and Ronaldo. Then Johan Cruyff, Pele, and not to forget Di Stefano, I have seen them all. It was good that Sir Bobby Robson shaped up his team and gave the Brittish people their pride back. It is a shame there are still too many hooligans of all nationalities around who give football a bad reputation. I bet that the book by Pete Davies is a great read and a fitting present for all football fans. Yes, it is still a great read and holds up even after all these years. Yes, Robson did well eventually but the press had more or less hounded him out by the end of Italia 1990. I’m looking for some light reading for while I’m flying over to Prague in the next few weeks (so a couple of hours round trip).In terms of content it sounds like a light read and that should be ideal! Roughly how many hours of reading do you think it is, as ideally looking for something fairly short. Though One Night in Turin is a great sports book and an engaging read, I wouldn’t take it as my main book if I were not a soccer fan. I would have a backup book, just in case! This is a great article on “One Night In Turin” and I was unaware of how close England came to winning the world cup in 1990. The review truly makes you feel as if you need to experience the situation by reading the book. It gives you just enough information to leave you wanting more as any good review should do just that. It is hard to believe that such an event could change a nation in coming together for a team through one common goal. 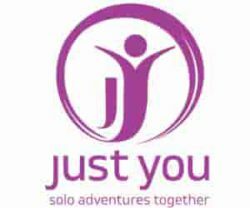 Great article and keep writing! Thanks for the encouragement, mate. Some reviews just write themselves. It remains one of the best sports books I have read. And yes, sports can be a great unifier – especially if your team wins! Thanks a lot for the review on One Night in Turin. I am a soccer fan. I can’t forget the semi-finals between England Vs Croatia. In this particular match I was supporting and expecting the victory of England the result is not the one I expected and when I think about that match it hurts me till today. To be honest we can learn a lot of life lessons from soccer and in these important matches. Its all about how we handle the pressure and follow the basics. When you said, Public libraries have my greatest respect for providing one of life’s greatest pleasures, freely. Indeed true and there are days I spent 6 to 8 hours in library. Thanks for the great review. Wishing you great success! Yes, England did very well in Russia 2018, and they recently gained revenge against the Croats by beating them 2-1 in the Nations League to make the semifinals next year. It is an exciting young team — no one is older than 29 — that is going places. Maybe worth a punt for Euro 2020 or World Cup 2022 (especially as the heat of Qatar will favour the young!). Great that you are supporting public libraries. Keep it up! One Night In Turin seems like an excellent book to read if you are into football. I was about one year old in 1990 when this incident happened, but I can imagine the disappointment from most people in England. English fans are also passionate about their sport and can become crazy when their team loses. I have great respect for Sir Bobby Robson who led the group through all of the obstacles associated with the drama and failure. Yes, he was a great manager. I enjoyed especially his work with Ipswich Town, which is one of the best club sides I have ever watched. In truth, with England in 1990, his team stumbled onto success, because apparently the players were the ones who pushed for the 3-5-2 formation that took them far and he was big enough to comply. But he did deserve the success ultimately, as the press were harsh on him, unfairly I thought.